Since 1987, Clortech has been committed to producing and supplying the highest performance precision cutting tools. We use our decades of expertise to provide comprehensive solutions for a wide variety of applications. Clortech provides complete maintenance, repair and operations service kits including precision cutting tools, tooling, jigs, packaging and labelling. In addition to our high-quality cutting tool kits, our company can provide maintenance, regrinding and replacement of damaged MRO tooling. Our AOG 911 program enables us to produce or modify aircraft tools in the shortest lead time possible. We help you carry out your aircraft repairs as quickly and efficiently as possible so you can be up and flying in no time. Our Technical Drawing Service uses state-of-the-art inspection equipment to measure any cutting tool on the market and provide the client with a detailed drawing of all its parameters. We provide you with a standard of consistency and quality to measure your other cutting tools up against and a reference for every tool you use. Our 360° Approach program is specifically designed for companies that lack the resources or manpower for dedicated tool development. Our cutting tool experts can design, develop and test precision cutting tools for specific applications that are troublesome or ineffective. 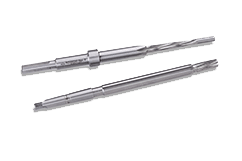 Clortech provides an assortment of precision reamers for use in metalworking applications. Our high-accuracy reaming tools come in various sizes for smooth and precise reaming operations each and every time. We offer a wide selection of milling tools designed to increase your productivity and help you remain competitive. Find the reliable cutter you need for every milling application imaginable. 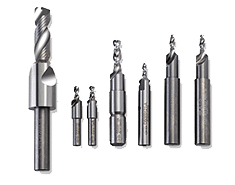 Browse our extensive selection of high-performance holemaking tools, including drills and special endmills, to find a comprehensive solution for your specific applications. 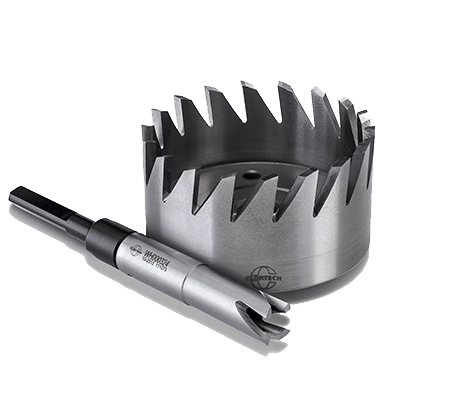 Whether drilling, reaming, or boring, we have the right cutting tools to optimize your productivity. Why choose Clortech cutting tools? Clortech employs a rigorous quality assurance system to ensure the highest quality products and services in the industry. Client satisfaction is our top priority and all our cutting tools undergo strict inspections during and after production. Our highly-trained team of technicians, engineers, programmers and operators strive to exceed customer expectations with each tailored service we provide. We have received several quality achievement awards from suppliers, a testament to the dedication of our experts. At Clortech, we continually invest in the most state-of-the-art production equipment available on the market to remain innovative and ensure rapid turnaround for our clients. In-house tool production and maintenance allows us to be flexible and adaptable while meeting the high level of quality our customers expect. Do you have a specific request? Clortech can help you find the right solution for your unique tooling and machining applications. © 2019 Clortech. Web design - My Little Big Web.